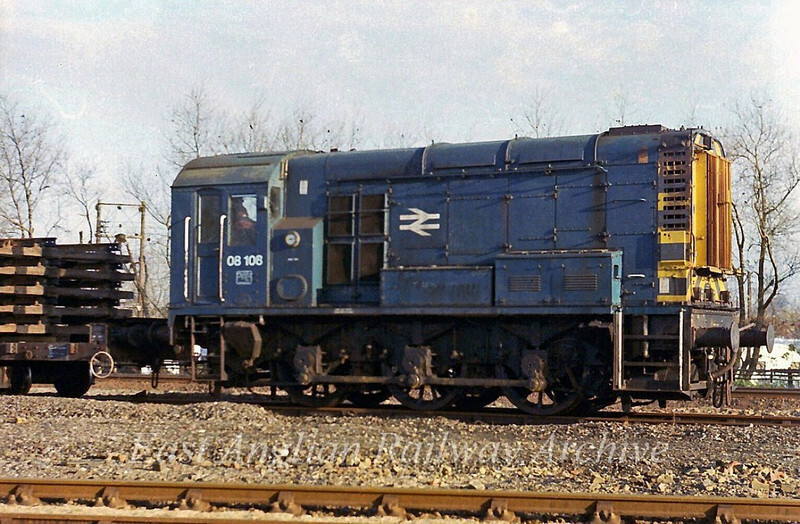 Once a very familiar engine in the Cambridge area, 08108 shunts at Chesterton Junction permanent way depot on 27th November 1978. Withdrawn in 1984, 08108 now resides at Rolvendon on The Kent and East Sussex Railway with its pre TOPS number D3174. After leaving BR it spent time at Dower Wood Grain Mill near Newmarket.